Learn the simple way to save web files to Google Drive or other cloud drives instantly without the need to download and upload step by step. How can you save web files? When you find a useful web file on the internet or receive files from some of your friends, you may want to save the Web files to Google Drive, so you can view them anytime anywhere. How do you do it? Usually, you may need to download it to your computer and then upload it to Google Drive, which takes time and consume disk space on your hard drive. What if there is a simple tool that allows you to save web files to Google Drive instantly without the need to download to your computer? With free web-based tool MultCloud, you can save any files from the web directly to your Google Drive, without downloading and uploading. You can enter the web file’s address, and in an instant, the file will be available in your Google Drive. Of course, you need to add Google Drive account into MultCloud beforehand, so you can select a folder in your Google Drive to receive thus web file. In addition, MuctCloud is friendly to mobile devices. You can use MultCloud on your Computer, tablet, or cellphone as long as you get a web browser and internet connection. 1. Go to MultCloud official website and create a new account. You can also experience it without signing up to just see how it goes. 2. After loading your account, click “Add Cloud Drives” to add your Google Drive accounts into MultCloud. It will not save or cache the Google Drive accounts information. 3. Once you get that done. You can access any files on your Google Drive through MultCloud. Select a location on your Google Drive where you want to save the web files. From there, click the “Upload” button, and then select “Upload URL” in a pop up window. 4. Enter the file&apos;s web address (or URL) there and click “Ok”. Within seconds, it will save files from web to Google Drive. After that, you can then view it and share it with MultCloud. 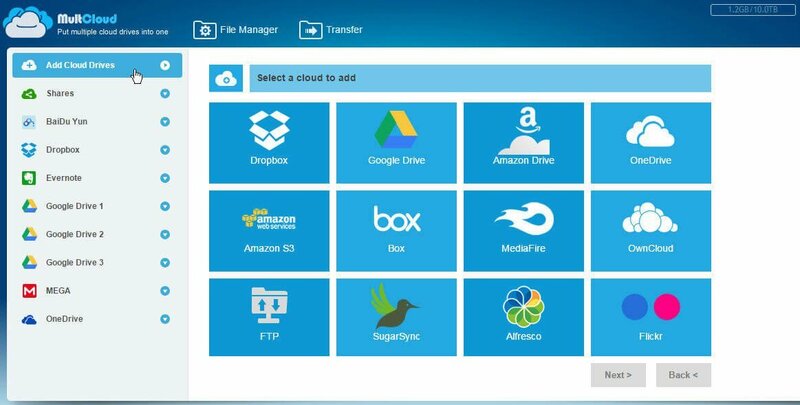 Besides the ability to save web files to Google Drive, MultCloud also allows you to transfer files across different cloud drive accounts. For example, it can help you easily transfer files from Google Drive to Dropbox or back. Email notification is also available to notify you when a file transfer task is complete. *Update: From MultCloud 4.0, you can use MultCloud&apos;s Cloud Sync service. There are eight sync methods in all. And MultCloud developed an extension for Chrome browser, which could help you conntect to Google Drive simply.